Water security in Ballina Shire will be enhanced when Ballina Golf Club starts using bore water thanks to funding from the Nationals in Government. NSW Nationals Candidate for Ballina and Nationals Parliamentary Secretary for Northern NSW Ben Franklin said the project would improve water supply to the sporting club. “When the golf club moves from town supply to the bore, town water that would have been used by the golf club will soon be available for the rest of the community,” Mr Franklin said. “The new system will include irrigation bores, pumps and pipework, and will provide an environmentally stable water supply all year round. “It will mean free flowing, high-quality water to support grass growth and will help ensure a suitable playing surface for people of all ages and skill levels. 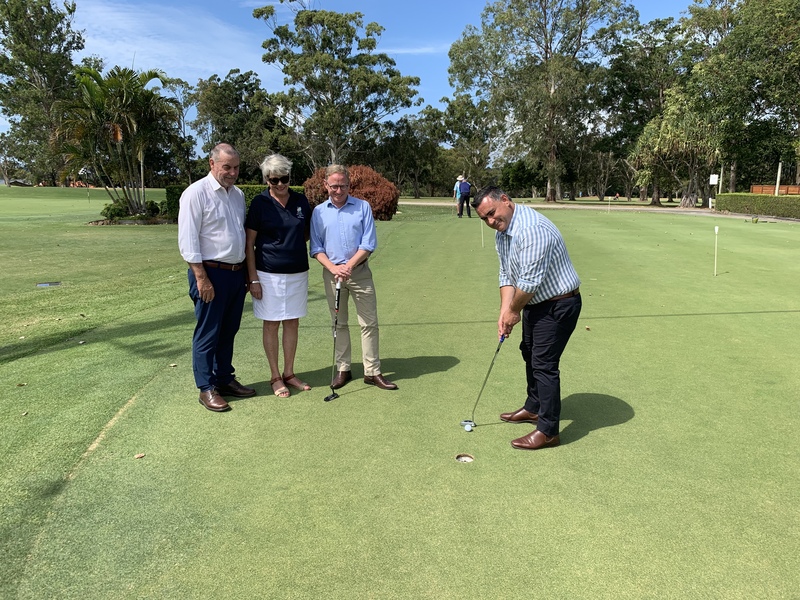 Deputy Premier and Minister for Regional NSW John Barilaro joined Mr Franklin at Ballina Golf Club today to make this announcement and meet with the local community. “What a fantastic outcome to improve water supply to the Ballina Golf Club,” Mr Barilaro said. “I want to thank Ben Franklin who, through his support for Council in their application for funding, was able to make this happen today,” he said. Chairman of the Ballina Golf and Sports Club Jenny Ellenbroek said the Club is thrilled with the announcement. “This brings to fruition our years of strategic planning for future proofing sustainability in both financial and environmental terms, and is a very important step forward,” Ms Ellenbroek said. The funding is through the Clubgrants Category 3 Infrastructure Grants program.